Red Maeng Da Kratom: Do You Want Extreme Pain Relief & Euphoria? You are here: Home / Kratom / Red Maeng Da Kratom: Do You Want Extreme Pain Relief & Euphoria? Red maeng da is the best strain I’ve bought that gave me euphoria and incredible mood enhancement. You can definitely feel there’s something going on in your body with it and I recommend to try it to anyone who’s interested in kratom. This strain works on your body in such ways that your pain decreases significantly, and your happiness goes through the roof. This is scientifically proved. Red maeng da kratom is infused with more plant chemicals than the average strain. This means you’ll experience a heavy punch of pleasurable effects. Red maeng da kratom users reviews are filled with positive and uplifting results. People who have stopped taking prescriptions to people who found the energy they always wanted. 1 What Is Red Maeng Da Kratom? What Is Red Maeng Da Kratom? Red maeng da is one of many strains from the plant Kratom. It belongs in the same family tree as coffee and packs health benefits for the users. The active ingredients in kratom, 7-hydroxymitragynine (7-HMG) and mitragynine possess pharmacological benefits. Maeng da means “pimp grade” in Thai and the rumors are that this strain was made through genetic modification. However, kratom veterans have speculated about the origin and the truth is: maeng da came to life through grafting thanks to bright Southeast Asian farmers. Two indigenous kratom strains are bred together to create this truly unique strain. The laborer farmers in a beautiful place like Southeast Asia, needed something that gives a boost of energy to work efficiently. The high levels of alkaloid content found in red vein maeng da produce unique experience to the user. However, the outcome depends on the farmers and how they cultivated it. The quality of the soil, and if they chopped mature and full-grown leaves. The kratom powder of good red strains has a dark green color. The beauty about this strain is that the pain relieving properties are suited for daytime use. This is a huge benefit for people who need a natural painkiller to function during the day. People who have arthritis and joint pains praise red maeng da for these reasons. A study to compare the potency between morphine and a plant chemical found in kratom, 7-hydroxymitragynine, revealed kratom to be stronger. This means red maeng da is more effective than morphine, but it’s important to note that kratom has milder side effects. Kratom is not an opioid, it works as a partial agonist on the μ-opioid receptor (MOR). MOR is a class of opioid receptors that also works on beta-endorphin, which why the users experience strong analgesic effects and happiness from kratom. Many strains of kratom have this alkaloid but the red veins are more concentrated and therefore better for pain management and opioid addictions. At higher doses, usually 4-6grams, you’ll experience euphoria. This stage is also where the pain relief is produced. Happiness and relief from chronic pain is a vital element of this strain. Red maeng da eliminates negative thoughts from your mind. It is an extreme type of strain that can blow away depression from your consciousness. It may give you a new mindset and you can just do your thing with an authentic smile on your face. I noticed that high doses of red maeng da have been the most euphoric strains of all. There were no negative thoughts and I can think thoughts that will repel me forward in life. It’s almost like this strain gives you a clear vision. But note that everyone will have their own maeng da experience. Your stress levels will significantly decrease if you take red maeng da. The stress relief together with enhanced mood will also help you sleep at night. This is also possible because the effects of red maeng da calm down brain activity so you don’t end up thinking too much before bedtime when you know you need to sleep. Red maeng da is a strong strain and you don’t need to take much to feel it. Depending on what you want from this strain you need to monitor your dose. The first time you should take 1g and wait 15 minutes and see how you feel. Then gradually increase the dose carefully until you reach the optimal stage you desire. 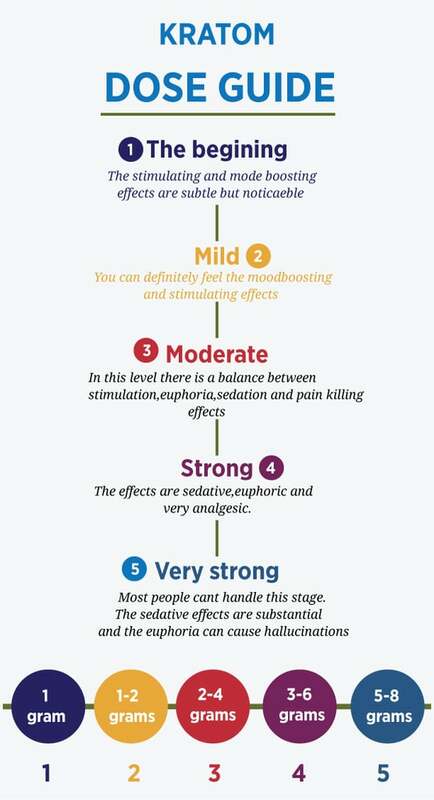 The pain relieving effects are felt at lower doses but severe pains you need a higher dose. Red maeng da kratom is a great painkiller you can take during the day. It works wonders for chronic pain and addictions. You can also use red maeng da for anxiety and depression. It’s a strong strain you won’t find crappy. I highly recommend capsules because the powder is far too bitter. Red maeng da is for you who want pain relief and effects that you can feel. What’s your experience with this strain? The stuff helps me tremendously but of course now they are going to ban it.